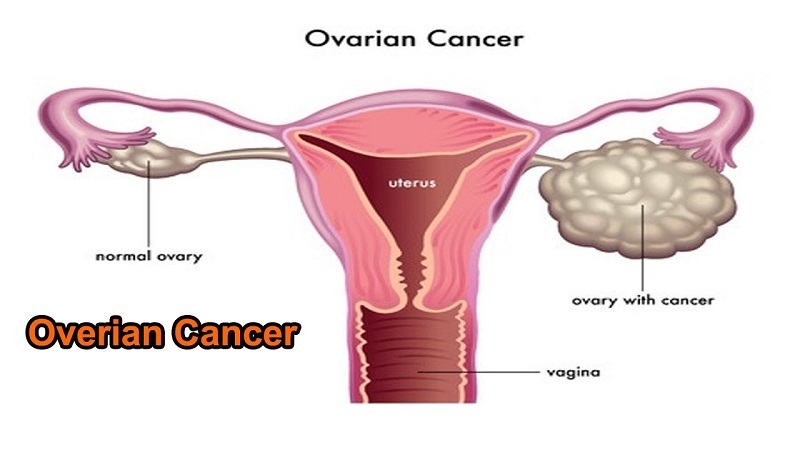 Cancer of the ovary is a disease that affects one or both ovaries, the two glands on either side of the uterus. 1. Epithelial cell cancer – Epithelial cells cover the surface of the ovary. Eighty-five to ninety percent of ovarian cancer cases are this type. 2. Germ cell cancer – Germ cells are the cells in the ovary that develop into eggs. This type of cancer is more common in younger women and usually has a high cure rate. 3. Stromal cell cancer – Stromal cell cancer occurs in the connective tissue, which provides the internal structure of the ovary. It also has a high cure rate. For women at high risk of epithelial ovarian cancer, such as women with BRCA1 or BRCA2 mutations, periodic tests to check for ovarian cancer may be recommended. These tests include the transvaginal ultrasound to find changes in the ovaries and measurement of CA 125 levels. CA125 is a substance made by tumor cells. It sometimes is increased in women with ovarian cancer. The only way to tell for certain that a woman has ovarian cancer is with a biopsy. In a biopsy, the tissue is removed during surgery and is tested for cancer. BRCA1 and BRCA2: Genes that increase the risk of breast cancer and certain other types of cancer.